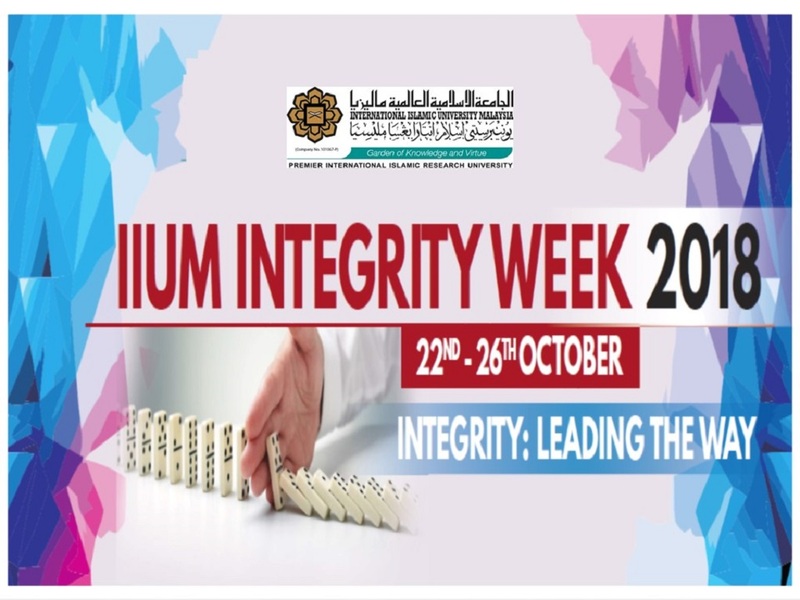 We are pleased to invite you to participate in the IIUM Integrity Week 2018 which will be held from 22nd until 26th October 2018 (Monday - Friday). The theme for this year is "Integrity: Leading the Way". (iii) to strengthen the brotherhood (ukhuwwah) and team spirit amongst the IIUM Community. Please accept our heartfelt gratitude for your continuous support to the progress of the University. May Allah subhanahu wa ta'ala reward and bless you for all your noble efforts.